With the reality of 5G wireless networks almost upon us, many consumers and business leaders are wondering why this new technology is so revolutionary and how it goes beyond current 3G and 4G networks. Here’s a look at how 3G developed through 4G into 5G and where this technology trend is heading in the near future. After cellular technology’s introduction in the early 1980s, it has advanced a generation approximately every 10 years. When 2G was initially launched in 1991, connection speeds were only 9.6 kilobits per second (Kpbs), slower than internet modems of the day, and phones only supported voice calls. But as the internet and email grew more popular, demand for text communication also grew, propelling the growth of faster cellular connection speeds to support SMS texting. Second generation technology eventually reached speeds of 56 Kbps. Meanwhile, demand for multimedia MMS that could support sending of images, audio and video emerged. This transformed 2G into 2.5 G, which grew into 3G. Upon its release in 1998, 3G initially nearly quadrupled the speed of 2G, delivering speeds of 200 Kbps. Eventually, 3G would reach speeds of 7.2 megabits per second (Mbps). 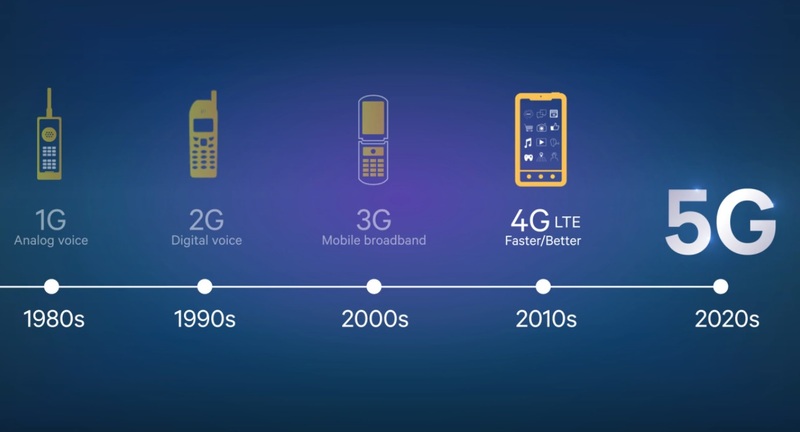 The 2000s saw several trends that pushed 3G in the direction of 4G. Initially, in 2002, the U.S. Department of Defense envisioned a new telecommunications infrastructure that would use wireless internet connections for VoIP calls instead of traditional voice calls. Meanwhile, desktop PCs had spawned demand for mobile devices such as laptops and tablets. Additionally, the growing popularity of mobile phones fed demand for cell phone access to the internet and content such as audios and videos. The tech industry saw that 3G networks would soon be overwhelmed by applications such as streaming media that consumed large amounts of bandwidth. To address these issues, in 2008, the telecommunications industry rolled out requirements for 4G networks that would deliver peak speeds of 100 Mbps for high-mobility communication from vehicles such as trains and automobiles, and 1 gigabit per second (Gbps) for low-mobility stationary users and pedestrians. By 2012, 4G networks supporting mobile broadband had become a reality. Fifth generation technology is designed to take 4G mobile broadband to the next level by combining enhanced mobile broadband with support for the Internet of Things. By delivering peak rates up to 20 Gbps, 5G technology — currently in development by companies like Qualcomm — will enhance mobile broadband experience by provider faster, cheaper, more reliable coverage that can support content such as streaming virtual and augmented reality. 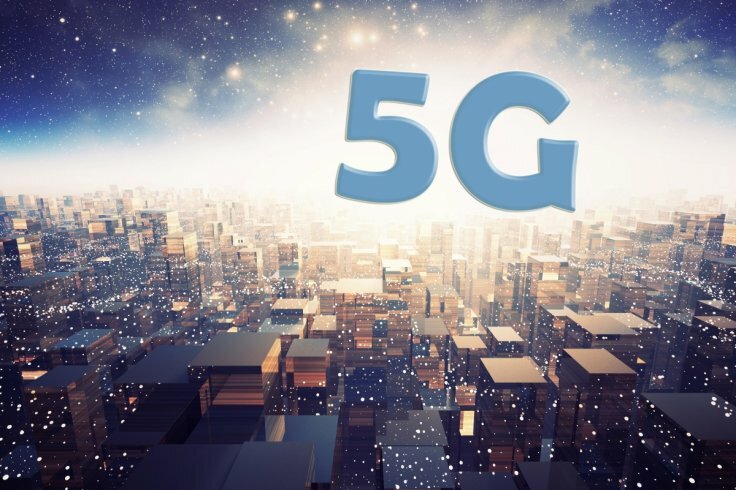 The blazing speed of 5G will also provide the infrastructure necessary to connect the Internet of Things, estimated to include a trillion devices by 2035 while multiplying the amount of data online 2,400 times, from 1 exabyte to 2.3 zettabytes. Fifth generation technology will support applications in virtually every sphere of society and the economy, from telecommunications and entertainment to retail and manufacturing to transportation and education. One of the showcase applications will be autonomous vehicles, estimated to generate 2 petabytes of data per year from sensors monitoring vehicle performance, navigational data and other vehicles. Only 5G speeds and low latency are capable of supporting this enormous data demand. Thanks to 5G, the autonomous vehicle market will generate $173.15 billion globally by 2030, ReportLinker projects. By 2035, 5G technology will generate over $12 trillion annually, Qualcomm estimates. Fifth generation tech is the latest advancement on 2G voice calls, 3G multimedia data and 4G mobile broadband. It will combine enhanced, lightning-fast mobile broadband with support for connectivity between trillions of devices on the Internet of Things. Its super fast connectivity and low latency will support a range of revolutionary applications from streaming virtual reality to autonomous vehicles, adding trillions of dollars a year to the global economy and transforming the future of society.